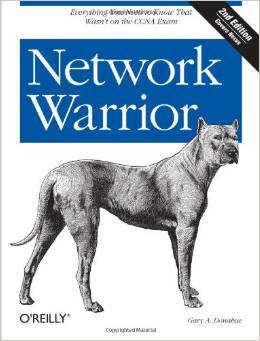 Some time ago I bought an e-book Network Warrior by Gary A. Donahue. As this is rather a long reading (more than 700 pages) I didn't have enough time to finish it. But right now - on holidays - once more I went through table of contents and last chapter "Avoiding Frustration" brought my attention. I just couldn't resist from reading this right - away. Those couple of pages consists of author's experiences from years when he was still learning how to work in bigger companies (corporate sizes) and how to collaborate with others acting as teamplayer. Author described so many situations we face on daily basis in our work - and what is important - he wrote how to react and behave so everybody is content and our work is effective and goes in right direction. A totally "must read" for everyone that have any doubts.